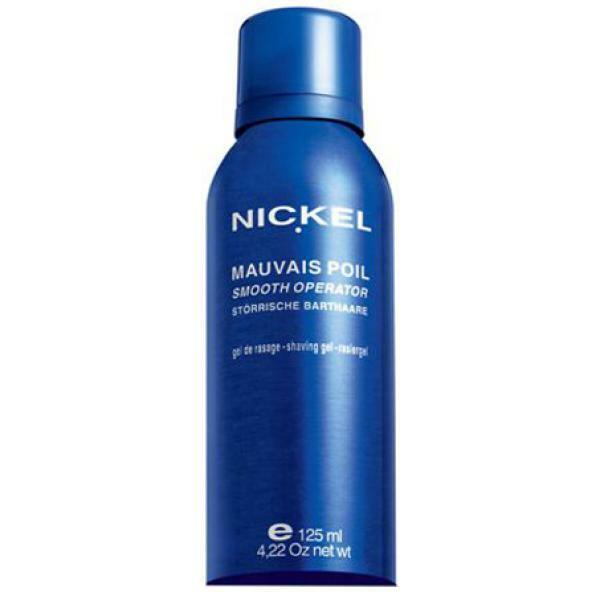 Nickel have created this superb shaving gel for all types of skin and beard. The gel turns into an ultra-protective foam when applied to very slightly moistened skin. Its ginger extracts lifts the toughest beard whilst its moisturising agents make your skin baby soft! Great for all skin types, including sensitive. I always like to try different shaving products and so I thought that I would give this a go to add to my collection. The gel comes in a blue metal can which in appearance and feel has a nice quality upmarket feel. However, as noted in other reviews elsewhere, the nozzle on the can is very stiff and uncontrollable in terms of the amount of gel which is dispensed - hence lots of waste! The overall performance of the gel is no better than what you would experience with any of the standard brands available in your local supermarket or chemist at a fraction of the cost. The ingredients listed on the can contain a number of items long discarded from shaving products by many other brands (at any price range) as being potentially unfriendly to skin namely:- - Parabens - methylparaben and propylparaben are used in the product. - mineral oil - a concentration of blue colouring in the gel sufficient to turn the water in your wash basin the very same colour of blue! I didn't get on well with this product. It's concentrated, so you don't need a lot, but the trigger is so sensitive you can't actually get a little at a time so you end up wasting lots. With a brush it lathers well enough, but just doesn't do enough to get a great shave. The product also smells very chemically to me, not like a high end product. Don't get me wrong it's not expensive compared to some, and I'd rate above your bog standard supermarket product, but I think you can do better. Love this stuff, really concentrated so a little does the job easily, lathers really well, smells great. This product is pretty simple & straightforward but it is also very effective, refreshing and a pleasure to use. I have no irritation post shaving after using this gel and the smell is fantastic. Once you hold it you know it's a quality product (given the heavy feel of the bottle) and it did not disappoint. Use this with a decent moisturizer afterwards to get the most out of it! provides easily the best shaves ive had. creates a perfect lather when used with a badger har brush. i shave with a vintage gillette safety razor and this shaving gell just completes the experience.another great product from nickel. Followed Julian B's advice (see the forum) and bought some of this. The best shave gel ever - lathers to a thick, rich consistency, smells nice, and provides excellent razor glide. Despite being double the price of most high street brands, this product really lives up to it's expectations.It lathers well, protects your skin from the aggressiveness of a blade, and minimises irritation from shaving. Combined with Contre-feu, my shaves are more pleasant and my skin looks clearer and more refined. A great product from sensitive skin prone to redness and blemishes! It is actually possible to use a shave brush and bowl with this stuff. You just need to use a bit more gel and watch how much water you add to the brush. The result: I got my closest shave ever without going against the grain. This Nickel gel smells fantastic and manly too! Recommended! This is truly the most amazing shaving product I've used... Feels great while you shave, smells great and feels fantastic after you shave too. Really refreshes. Best followed by the Contre-Feu aftershave balm - the only after-shave product that I've ever found to soothe! I initially only gave this product 3 stars. But a month of use has made me upgrade it to 5. If you take the time to really lather it up (using a brush or your hand), this is a super smooth gel that makes shaving even the longest stubble an easy, pleasurable experience. Well worth persevering with, much better than the average 'high street' gels. But watch that nozzle action - despite the warnings from other reviews, I still managed to get some on the far wall! Although a little more pricey, this stuff is really creamy and only a tiny amount is required. The bottle is slightly smaller than the usual 'Gillette' so good for travelling. Smells good too. A good shave gel with a pleasant smell. One tip though, it can come out of the can at some speed!, you only need a small blob about the size of a pea, even for coarse stubble. Goes a long way and great value for the price. Smooth and cool shave. No cuts or grazes. Only criticism is that it is impossible to only get a small amount out of the container, which delivers far too much for a single shave, This makes it uneconomic. If that could be rectified it would be a perfect product. Like Warren H after reading reviews on this website I had high hopes for this product. It comes in a cool piercing blue coloured bottle and has a "mildly minty" almost "bubble gummy" smell and a little goes a long way but it is no better than many other cheaper products I have tried. It lathers really well but doesn't have enough lubricant for me. I have yet to find anything that comes remotely close to Space NK Man shave cream/moisturiser which smells delicious and saves you the expense of buying two items when one will do. After reading a lot of comments on this cream on the forums here I thought I would try this out. Big mistake. Yes it gives a decent (not overly fantastic) shave (there are other products that give a better shave, in my opinion. e.g. the Anthony cream) But my main complaint with this is it aggravated any spots I had and actually caused new ones! At first I thought the product actually gave an even-tone after shaving, but this was short-lived. Like Zirh Clean, if you have sensitive or spot-prone skin avoid this like the plague, it really is a nightmare in this aspect. I tried the Phytomer shaving mask, and what a star of a product, it actually calms and clears and heals my skin during and after shaving, unlike this product. The Menscience cream also has some amazing healing and non-irritating ingredients for a shave cream. I had to try this, but never lived up to my expectation. Its nice & thick but the same as other leading brands that are less than half the price! Really, Its nothing special!